Greek life is not for everyone. I totally understand and recognize that. It can seem over the top and pointless to some from the outside. But for me, looking back on the last 3 1/2 years of my time here at Furman, Greek life was 100% the right decision for me. Sunday was bid day here on Furman's campus. We have a delayed recruitment process so we don't start formal recruitment until we come back from Christmas break. 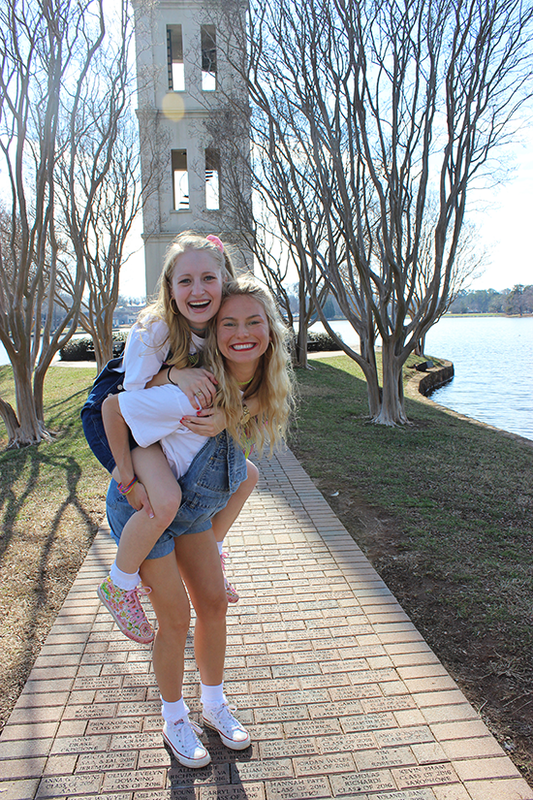 I love that Furman's freshman get a full semester on our beautiful campus to learn to navigate their way around college life and get to know the girls who make up the sorority before going through the process during second semester. It gave me an entire semester to adjust to the college workload before adding the commitment of a sorority to my plate. 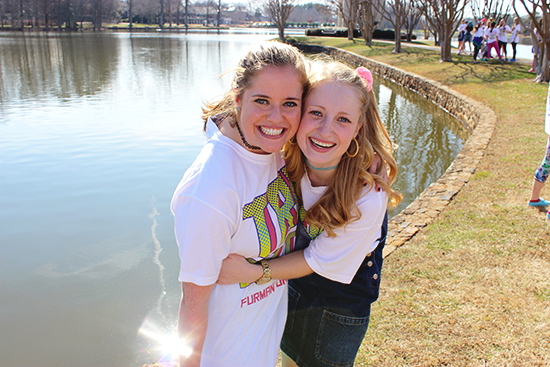 Having served on Tri Delt's exec board my sophomore year, I took a leap of faith and decided I wasn't going to apply again my junior year and instead go for an even higher position on Furman's Panhellenic Exec Board. After finding out I was named president I think my initial reaction was shock. How am I qualified enough to run an entire sorority community?! As my time as Panhellenic president wraps up (more on that next week!) I can say with absolute certainty that recruitment was my favorite (and not to mention hardest) part of my job. Getting to be on the other side of the whole process was so rewarding. 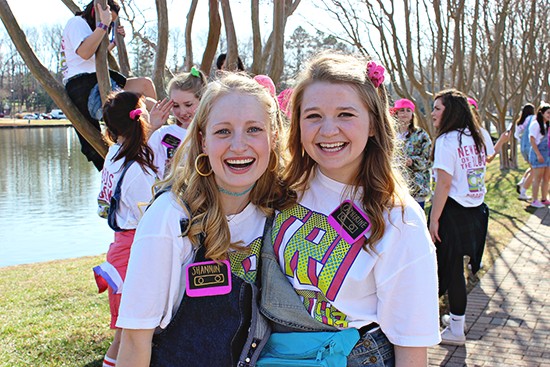 I was disaffiliated from my chapter starting Fall semester through Bid Day so my role during the process looked very different from my past years. This year I wasn't with my chapter and instead worked solely on the new member side. I got to work with the recruitment counselors and all the staff to help put on this production and get to talk to girls going through the process by offering them advice and guidance. I was a part of a group of recruitment counselors from all different chapters whose only goal was to help the potential new members find their greek home on campus. It was so fulfilling to take a step back from my own chapter and focus on these freshman girls as they go through this crazy roller coaster ride called recruitment. I met so many new girls and feel so lucky I had the privilege to work with all of them. There were many late nights in the last week but seeing those freshman girls run out of their Bid Day room to join their new sisters was a priceless moment. Their faces exuded excitement and I don't think I have ever seen so many tears of joy. They have found their home on campus and to think that I had just a small role helping them makes all the hard work 100% worth the effort. I wish they knew all the sleepovers, dance parties, friendships, and movie nights that are in their future. So many fun things ahead for them! 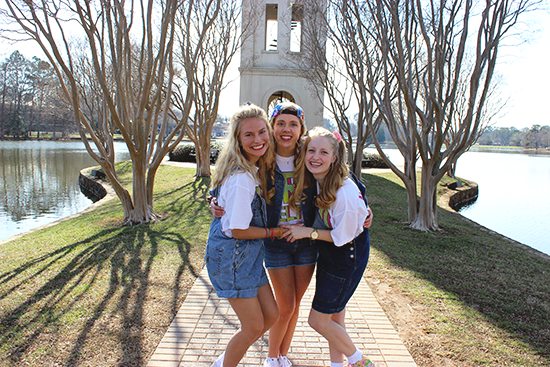 After all of the new members collided with their new sisters we did a big recruitment counselor reveal! I finally got to rejoin my own sisterhood and take a step back and enjoy the bid day I had spent so many days planning. This is (a majority) of my adorable pledge class. I think it's fair to say we're all still in shock that we're the seniors now. I couldn't have asked for a better group of girls to stand next to me during the last 3 1/2 years. My sorority family! 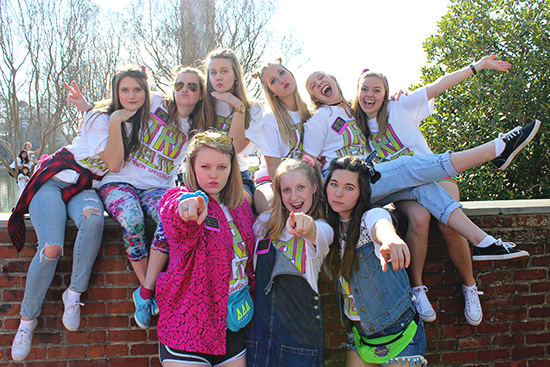 The McCrayCray fam has grown in size since my freshman year but I couldn't be more thankful for this fab group of gals. Bid Day is one of my favorite days of the school year! 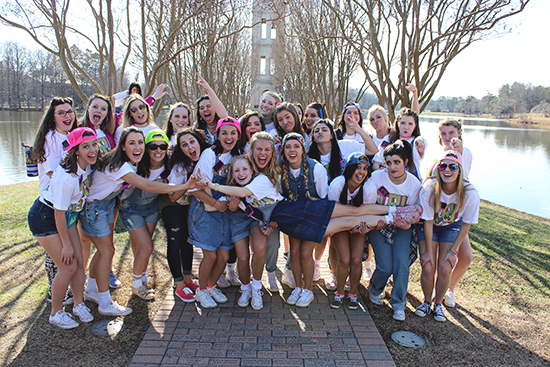 I'm in disbelief that that was my last Bid Day *insert tears here*. I'm so thankful to be able to call myself a Tri Delt and so pumped for the 42 awesome new girlies we get to call our sisters! Aaaw, this is SO FUN! I miss those days! We did second semester recruitment at Wash U too, and it was great that way! Congratulations on a great recruitment and all the fun of having new sisters!! Bid day looks SO much fun! It makes me so excited to do recruitment next year! 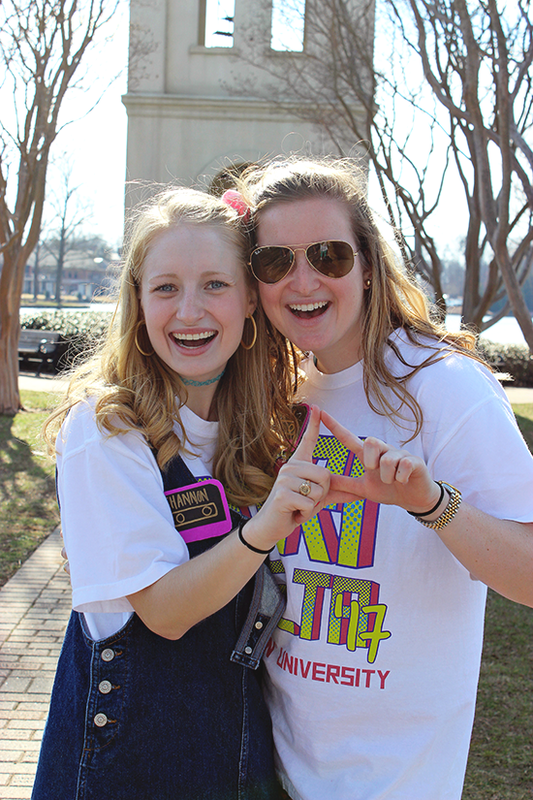 It looks like you had a great last Bid Day!